"Nulidshil iulidsha'nulidsha, ko-idshantala kaiiatala kailpakshtala, tchia. "I am sliding, slipping, sliding, towards that wretched land, towards that burning region, to remain there." I imagine that Curley Headed Doctor shook his head and reassured them that they would be going somewhere much better. During the war, he strung red tule rope around the Stronghold to keep the United States Army at bay. He danced the Ghost Dance to bring warrior spirits to assist the Modocs in battle. His medicine flag was seen from most everywhere in the Stronghold. Curley Headed Doctor possessed strong medicine. 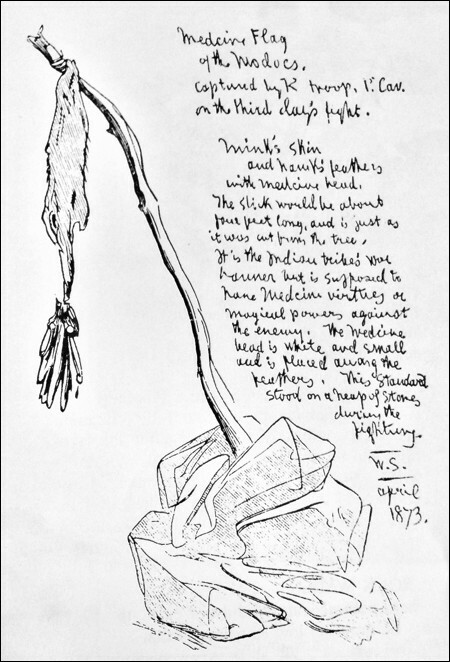 His spirit birds were doves, chief mourners in Modoc culture. Through the war, the executions of Modoc leaders, and finally during exile in Oklahoma, he refused to trade his animal spirits for the conquerer's Christian symbols and beliefs. He held fiercely to the Old Ways of his people. 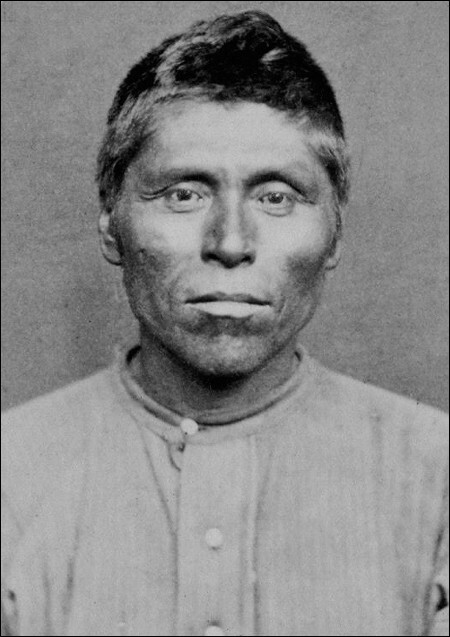 In 1890, growing old and weak at the Quapaw Reservation in Oklahoma, he prophesied the circumstances of his death. Doves will appear in mourning, he said. They will come in great flocks. And he warned family and friends, "Don't kill these birds or you may suffer. They have come to bid me farewell. As soon as I die the spirits leaving me will cause the greatest storm you have ever seen." Curley Headed Doctor requested his body be burned in the traditional way, and offered to the air where the Dove People lived. No Christian box in the ground for him! His death came just as he said it would. The sky filled with doves. They swarmed down and bobbed and cooed near the dying doctor. A storm blew across the prairie and rained torrents on the reservation. As the rain lessened, the Dove People flew as Curley Headed Doctor's corpse caught in the funeral pyre, and many-colored flames leapt high into the sky. Curley Headed Doctor was no longer "sliding, slipping, sliding towards that wretched land." He was flying with the Dove People! 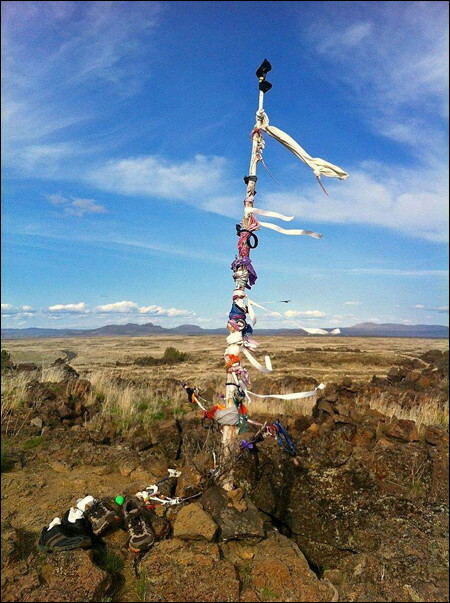 Images: Curley Headed Doctor at Fort Klamath in 1873, his medicine flag in the Stronghold during the Modoc War, and a prayer flag that currently flies in the Stronghold.